Crowdfunding means pooling money together from a group of people — the “crowd” — who have a common goal. There are 4 main types of crowdfunding: donation, reward, equity and debt. It can be financing a new project or business or even supporting someone who needs a medical treatment. Typically crowdfunding is done via the internet using platforms like Kickstarter, Indiegogo or Make A Wish (non-profit). Crowdfunding was always a logical distribution channel for real estate investments and existed for a long time in the form of hard money lending. Individuals were asking someone they knew (friends, family or professional network) for money to complete a project. With the passage of the Jumpstart Our Business Startups Act in 2012, many of the barriers that previously existed for investors in real estate were removed. You no longer had to know someone who knew someone to find a project to invest in, but could now find many projects sourced from different sponsors on websites. Jumpstart Our Business Startups Act (“JOBS Act”) was signed by President Obama in 2012 and established new guidelines on how businesses could raise money through crowdfunding. In short, it made the process faster and simpler. After the law’s passing, real estate developers could use crowdfunding to fund their projects. 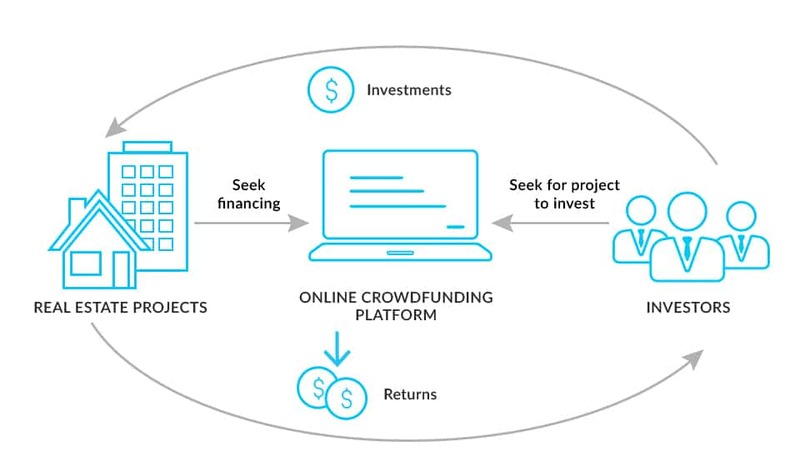 Types of Real Estate Crowdfunding. net worth or joint net worth with the person’s spouse exceeding $1,000,000 not including the value of the primary residence. annual income of $200,000 in each of the two most recent years, or joint income with a spouse exceeding $300,000 for those years and a reasonable expectation of the same income in the current year. In October 2015, the SEC finalized its ruling on Title III of the JOBS Act allowing non-accredited investors to participate in some crowdfunding investments through provisions under Regulation A. Portfolio diversification Real estate crowdfunding allows investors to diversify their portfolio by investing in the real estate market which tends to be less volatile than stock market and reduces the potential of significant losses from market cycles. Liquidity Investors can find many different forms of real estate loans that fit their investing horizons, from short-term fix and flip loans to longer-term commercial mortgages. Transparency Investors have access to more information (compared to REITs) to be able to better evaluate opportunities. Small minimums Previously to invest in real estate deals, investors usually had to put up a minimum of $100,000 to invest in a project, but crowdfunding has helped to reduce that, with some platforms allowing investors to participate in a project with an initial investment as small as $1,000. Taxes For equity deals, you can potentially deduct expenses from your annual income tax. You should also be aware of the benefits of depreciation in real estate crowdfunding. As with all investments, it’s a good idea to consult with your accountant or Tax professional before investing! Real Estate Crowdfunding solved a lot of problems for both investors and developers. Real Estate Crowdfunding is a great opportunity to diversify your investment portfolio and may provide a steady stream of income to help supplement your current income, fund your next startup, fund your retirement, or fund your next adventure. 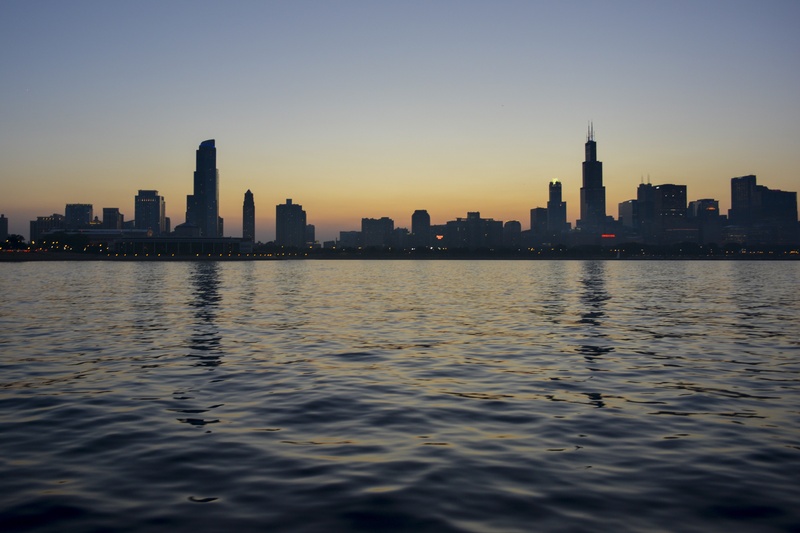 Want to learn more about real estate crowdfunding? Read our tips for accredited investors. Disclosure: All data presented here is for demonstration purposes only. Past performance is not indicative of future returns. Nothing in this article should be construed as a solicitation or offer, or recommendation, to buy or sell any security. Investors should consult with their own legal, financial, and tax advisors. 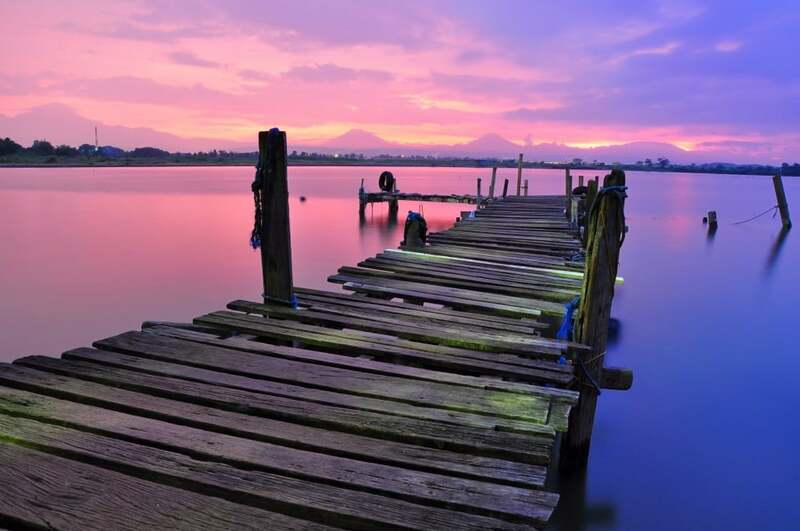 While AlphaFlow strives to make the information in the article as timely and accurate as possible, AlphaFlow makes no claims, promises, or guarantees about the accuracy, completeness, or adequacy of the contents of this article, and expressly disclaims liability for errors and omissions in the contents of this article. 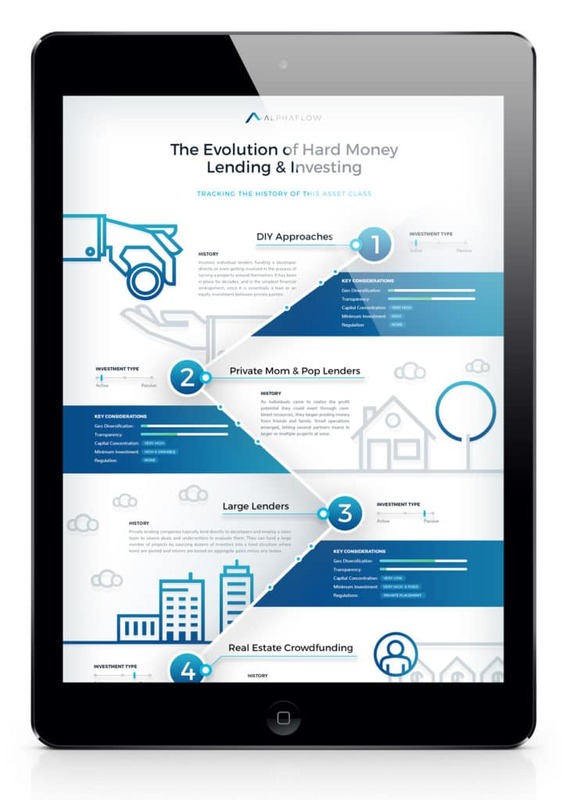 Hard Money Lending has been around for as long as real estate investing has existed. In its earliest form, Hard Money Lending was just an individual asking someone they knew for money to complete a project. Over time, these individuals evolved into small lenders, pooling several investor’s capital. Not too long after, private equity type firms with access to deep pools of capital became interested and started lending. After the JOBS Act in 2012, some real estate investors realized there was an opportunity to get individual investors more involved by bringing more transparency and the ability to diversify by buying parts of many different loans through online platforms. AlphaFlow takes the best aspects of working with a large group (like a private equity group) and online platforms by combining the deep knowledge of a private lender and the transparency and diversification offered by crowdfunding. Join us for a deeper tour of the history of Hard Money Lending! Fill out the form to have the eBook sent to your inbox. 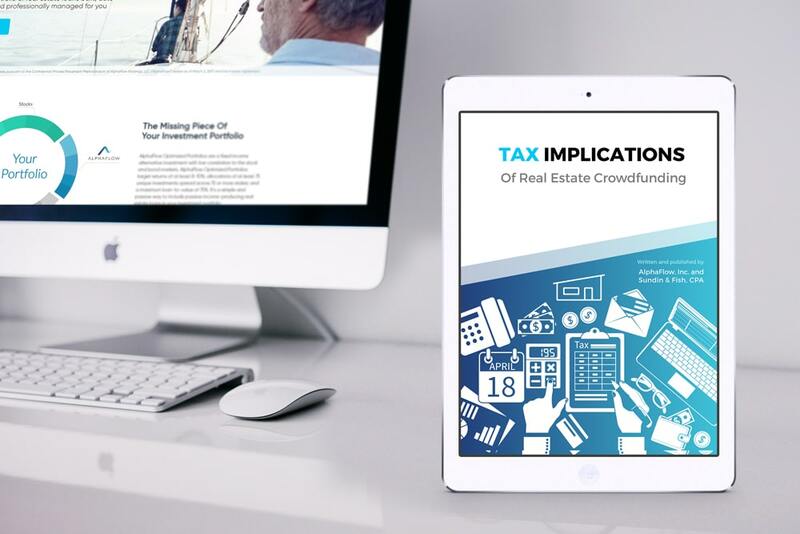 Our friend and industry colleague Joe Stampone recently put together a great eBook on his top 7 real estate crowdfunding platforms. While we were excited and honored to be included, we wanted to share Joe’s post and eBook because it’s a great 3rd party view on the industry. I’d encourage you to not only take a look at the eBook, but also follow Joe’s blog if you’re interested in learning more about real estate from a true industry insider. We’re excited to work with Joe more in the future! Blog Post: A few months ago I provided an overview of the various opportunities for real estate crowdfunding investors, however I didn’t dig into the specific platforms. 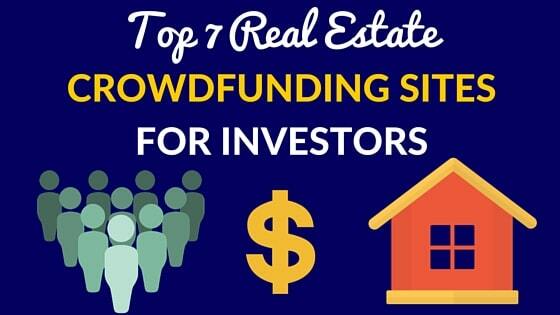 In my latest eBook, I break down what I view as the top 7 real estate crowdfunding sites for investors. While there are 100’s of sites out there, the 7 I chose are established players, well-funded, operated by experienced real estate professionals, and sites I’d trust with my own money. This is by no means exhaustive, but a good starting point for any potential real estate investor. Direct investing in cash flowing real estate should be part of any investors’ portfolio. However, a millennial who is an unaccredited investor with a few thousand dollars to invest has a much different investment objective than a high-net-worth individual who recently retired and has $1mm to invest. Why I wrote this guide: 1. There are a lot of poorly run platforms funding risky deals and it’s impossible for the amateur real estate investor to identify the good ones. 2. There are several investment models and it’s challenging to determine which is right for you based on your investment objectives. 3. The space is evolving rapidly and there are new investment models that investors should be aware of. In the guide, I break down each platform outlining what I like, my concerns, fees to investors, their underwriting process, and even fun facts. There are 5 core investment models to choose from: . . . You can read the rest of Joe’s post and download his ebook HERE. Joe Stampone is the VP of Investments for Atlas Real Estate Partners. He also authors a popular blog, A Student of the Real Estate Game, a community of real estate professionals driven by a passion to be on the cutting edge and grow their careers through collaborative learning. This piece was originally published by Lend Academy HERE. A number of platforms raised enormous rounds of venture capital in 2015. Many of these rounds were much larger than their performance metrics might garner in other industries. Fintech is hot right now though, and P2P/crowdfunding is on fire. However, large rounds come with similarly big expectations. 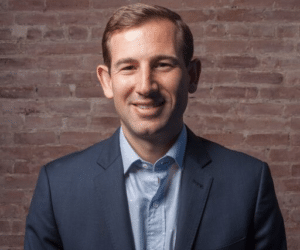 If real estate platforms are to hit hyper growth, as Lending Club did around 2010 and Prosper did soon after Aaron Vermut and Ron Suber took the helm in 2013, you’ll see one big change. Specifically, I think you’ll see many more companies adopt some form of automated underwriting that allows them to evaluate exponentially more applications without growing their headcount proportionally. PeerStreet is a leader here, utilizing sophisticated data analytics that co-founder Brett Crosby honed at Google. To truly demonstrate the “tech” in fintech and not simply build real estate companies with websites, more platforms will move towards automated underwriting. While Lending Club and Prosper offer very different products than the real estate platforms, they are nevertheless the world leaders in P2P investing. As such, many of us studied them closely in our earliest days as we looked for the roadmap to success. Most investors on these platforms that I know – at least those not in the P2P industry – choose to use automated loan picking instead of pouring through thousands of loans themselves. As the real estate crowdfunding market has started to pick up and sites have increased volume, many have begun to launch their own versions. Actually executing this in real estate is proving to be much more difficult than many founders expected though. The real estate platforms are working with tiny statistical sample sizes and long feedback loops compared to the massive wave of loans Lending Club can pour through in developing its grading system. Add in a lack of standardized metrics between platforms, and it’s going to be a tremendous challenge. For those who pull it off though, it could produce an inflection point in the ability to quickly fund deals! I’ll think you’ll see many try in the coming year. There’s a Pavlovian influence to growing up in a bull market, and many founders haven’t seen the ugliness of a true down cycle. Instead, they’ve been rewarded for taking risks over the last few years and felt most burned by the investments they did NOT make. The result is some platforms underwriting deals at risk levels (i.e. LTV) you’d never see experienced real estate lenders touch. At a certain point, even in a bull market, the law of numbers kicks in and defaults happen even in the best of circumstances. How the industry handles these will be key. Experienced investors understand that not all deals go well. When deals fall behind or go into default on any of the industry’s major platforms, I tend to get the announcement forwarded to me from a number of our customers. Their reactions are typically tied to one very important item: transparency. Platforms who openly and continually communicate with their investors tend to earn patience. Letting investors know exactly what’s going on, why the situation came to be, and what the platform will do to maximize their recovery can go a long way to building loyalty. As we discussed in Part 1, there has been a proliferation of real estate crowdfunding platforms, with close to 230 in the world today! I’m hearing about customer acquisition costs at platforms moving north of $5,000. Ridiculous numbers like that simply aren’t sustainable, and so platforms are looking to new distribution channels. With investors so fragmented, it wasn’t difficult to convince a number of top platforms to publish their deals on AlphaFlow, and today we have a healthy waitlist of those looking to connect. You’re also finding new ways to invest. In November 2015, Fundrise launched a new investment vehicle – dubbed an eREIT – to invest in commercial real estate. Non-accredited investors can also participate, opening up an entirely new market of people who now have access. In February, AlphaFlow launched the industry’s first multi-platform fund, giving investors a way to passively build a portfolio of 75-100 deals with one investment. I think you’ll see a number of additional funds announced in the coming year as platforms work to expand beyond early adopters who were eager to actively invest, and tap into the majority of investors who prefer to participate passively. Like everything in technology, you’re seeing real estate crowdfunding going mobile as well. In Q4, Access launched an app that they’re calling “Tinder for Investments.” In 2014, mobile overtook desktop usage. It’s moving slower in real estate crowdfunding though for two primary reasons: (1) the demographics of the investors today are skewed towards those still using desktops over mobile for actually transacting, and (2) given the size of these investments, they’re not often quick decisions made while sitting at a Starbucks or between meetings on your phone. I think mobile will start to make a dent, but it will come more in reporting and monitoring than in actually transacting. As one of the early founders in the space, I can say that I couldn’t have imagined we’d get where we are as an industry this quickly. I continue to be impressed with the growth, innovation, and most of all, the people in the industry. I think you’ll see some growing pains this year, but real estate crowdfunding is ultimately poised to continue its meteoric rise. I’m excited for the day when we look back and wonder how real estate wasn’t in everyone’s portfolio, when crowdfunding makes it so easy! This piece was originally published by Lend Academy HERE. As one of the founders of RealtyShares, I remember the dawn of real estate crowdfunding in 2013. There were only a handful of real platforms and simply getting people to sign up for our websites – never mind actually investing – was an enormous struggle. Oh how things have changed! Launching AlphaFlow last fall gave me the opportunity to step back and start to look at the industry as a whole. From the number of platforms, to the tremendous growth in crossing $2.5 billion of crowdfunded dollars last year, to the world class founders like Jilliene Helman and Brew Johnson leading incredible companies, it’s exhilarating to see real estate crowdfunding begin to truly make an impact! Looking back on the industry, I wanted to share 5 observations from what’s happening in real estate crowdfunding today. 1. Multiple platforms reaching new heights In the industry’s early days, we often needed weeks or months to fund a property. In our first six months at RealtyShares, we barely crossed $500k in total crowdfunded dollars. In the next six weeks, we doubled that and took off with much of the rest of the industry. 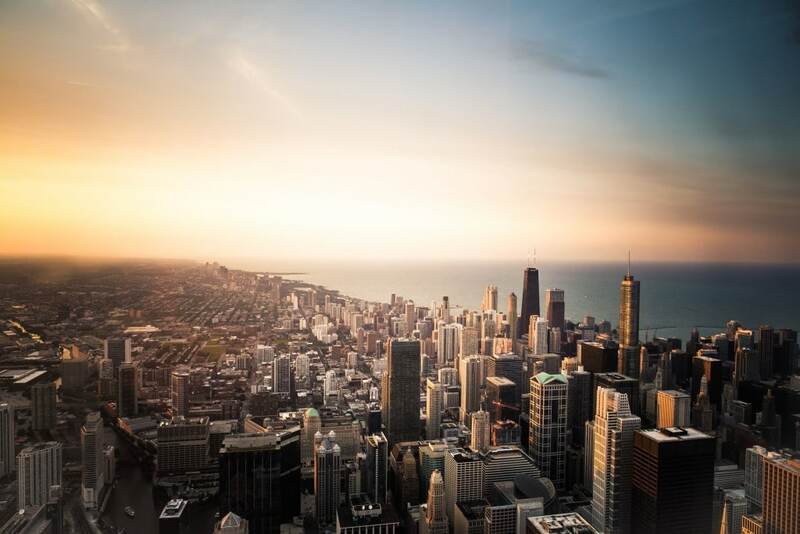 Today, at least 4 real estate crowdfunding platforms have entered the “Century Club” after having funded more than $100 million: Realty Mogul, Sharestates, Patch of Land, and RealtyShares. A number of other rising stars like PeerStreet have quickly built incredible investor demand and will be there soon. 2. Big Investments As real estate crowdfunding exploded, so did investor interest. Venture capitalists saw what is clearly an enormous market – the annual real estate market is about $500 billion – and poured massive investments into the space. About a year ago, LendingHome closed a $70 million Series C. A few months later, Realty Mogul announced a very impressive $35 million Series B. In early 2016, at a time when every headline seemed to announce the end of venture capital and proclaim that the era of large raises is over, RealtyShares announced a $17 million Series B. Good businesses will always get funded, regardless of the venture environment. Silicon Valley’s top venture firms have made it clear that they’re believers in the promise of real estate crowdfunding. Large rounds come with enormous expectations though. Many skeptics believe the industry is in fact overfunded. I agree with Mark Suster in that overfunding early is dangerous, but it’s ok once product/market fit happens (insider tip: when you see a platform launch all sorts of complicated new products while not really winning with any of them, it’s a good sign that they’re overfunded and don’t have the discipline that comes with a tight budget). Only time will tell how these investments pan out. 3. Proliferation of Platforms A growing industry supported by significant venture capital interest will always attract new startups. While total crowdfunding dollars grew about 6x from 2013 to 2015, the number of platforms grew ~10x during that same 3 year period to over 230 platforms worldwide. In other industries, you might say these new players are all “me-too” copycats. You might even say they’re “fast-followers.” I believe it’s more nuanced here. When you dig into the real estate industry, you realize that the space is inherently fragmented. In mortgages, for example, the top player (Wells Fargo) only has about 12.5% of the market. In fact, the top 10 players only have 40% combined! These new players have one big trait in common though . . . 4. The Emergence of Specialization New platforms aren’t trying to do what we did at RealtyShares, where we offered both debt and equity and a variety of asset classes from our earliest days. Conversely, you’re seeing specialization in new players like Fund That Flip, which has tremendous experience in underwriting single family residential debt. Others like Apple Pie Capital bring expertise for those looking to invest in franchises. Patch of Land has expanded beyond its early short term debt product by expanding to include medium-term products – a thoughtful evolution rather than revolution in its offerings. Real estate crowdfunding may prove to be the exception, but the rest of the real estate industry tells us that you won’t find a winner-take-all anyway BUT that the industry is large enough to support multiple giants. 5. Institutional Capital Like with Lending Club, the early mission of real estate crowdfunding was to give access to a new asset class to the masses. Those managing institutional capital though are paid to find great investment opportunities, and as the industry gained both size and a tremendous track record, hedge funds came calling. In the industry’s early days, you saw a few institutional deals announced but those firms have told me that most of their capital was never actually deployed. That’s not the case today. In February, Sharestates announced a $60 million partnership with an east coast private equity firm. The news came just weeks after Patch of Land signed a $250 million forward flow agreement with a credit fund. Institutional capital has also helped break records, as Realty Mogul executed a $49 million bridge loan with Elite Street Capital in November. Conclusion Real estate crowdfunding has come a long way since a handful of us launched platforms in 2013. Given the size of the industry though, the industry certainly has more opportunity in front of it than behind it. In Part 2 we’ll take a look into what’s next for real estate crowdfunding and what you’ll see in the coming year! 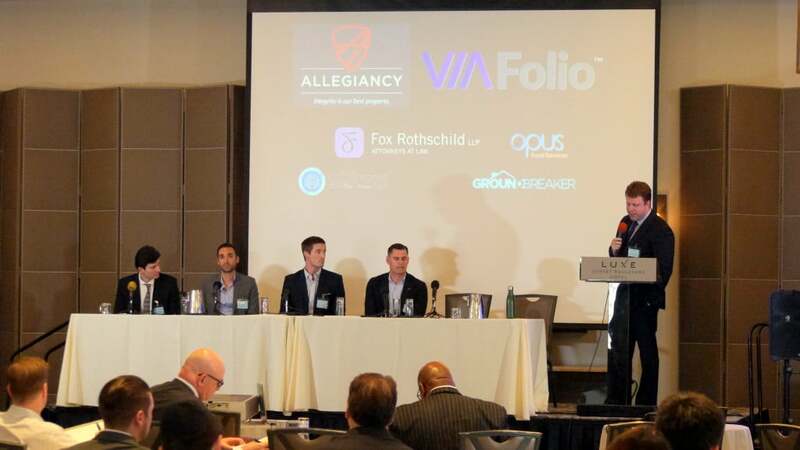 On March 2nd, Dynamics Capital put together a great real estate crowdfunding conference in Los Angeles. In attendance were some of the industry’s top platforms, including Realty Mogul, Patch of Land, PeerStreet, and AssetAvenue. I was fortunate to attend as well and present one of the keynote presentations. As one of the two founders of RealtyShares, I was responsible for the financial underwriting behind most of our deals in our first 18 months, and so got to know the sponsor perspective very well. Today I’m the CEO of AlphaFlow, where we help investors build and manage P2P portfolios. Given both of these roles, you can say I’ve seen things from both sides of the table. “Transparency is critical.” I say this all the time when working with my investors, but the sponsors are also very interested in transparency around their side of the marketplace. Given we’re seen as an independent 3rd party, AlphaFlow often gets emails from sponsors soliciting our opinion on a particular platform. They’re asking questions whose answers I’m not sure the platforms are actually tracking yet. For example: “How long does it take the average deal to fund?” or “What is the average return your platform has offered on funded deals by asset class?” As platforms grow and need to move beyond early adopters, knowing their metrics is going to be critical to converting sponsors unfamiliar with the space and less eager to try something new. When we did our first deals at RealtyShares in 2013, there were only a few other platforms that were actually active in the market. There were dozens of fancy landing pages but most had no substance behind them and many were a side project of a real estate broker. Today, it feels like I’m hearing from 1-2 new platforms per week with founders who have impressive credentials and solid backers. For the most part, new entrants have some niche and aren’t trying to compete with platforms like Realty Mogul, which fund a variety of asset classes with both debt and equity. Greater specialization can mean good things for investors, as long as these sites can fund their deals. You’re also seeing powerhouses like LendingHome, which built a great business with institutional investors, enter the crowdfunding space as well. During a panel that included four top platforms, someone in the audience asked if he could call the platform to see if he’d qualify prior to actually bringing a deal. David Manshoory of AssetAvenue noted that doing so is already possible on his platform, but that’s probably the exception today. Most platforms have been, like all startups, resource constrained and so valuable hours needed to be spent on assessing actual business opportunities vs potential. Large funding rounds also bring an eye towards the future and long-term growth, so I expect we’ll see more platforms vying to be the funding choice of sponsors even before they have a deal to fund. With most crowdfunding sites, approving a sponsor’s deal simply means that it will go up on the platform to be funded (or not) by investors. Even if sites have confidence in their ability to execute, there is still uncertainty around the timing required. In the earliest days, we often got weeks or months to fund a deal. That’s not the case today though, as sponsors look for certainty of capital. The result is more and more platforms, like Patch of Land, pre-funding deals and then effectively selling off their own positions on the platform. Over time, you’ll see more platforms following Patch’s lead; others may not, but they’ll need an exceptional track record to instill the same confidence in a sponsor eager to close his deal. Real estate crowdfunding is becoming a very popular way for investors to get into the real estate market. They don’t have to manage the day to day operations of the property, but will be able to obtain cash flow and a percent of the profits upon disposition. Most real estate investors understand the basics of depreciation, but may not understand the benefits as much as they should. No tax section on real estate investing would be complete without a brief description of depreciation. Depreciation is an income tax deduction that allows a taxpayer to recover the cost or other basis of certain property. It is an annual allowance for the wear and tear, deterioration, or obsolescence of the property. Most types of tangible property (except, land), such as buildings, machinery, vehicles, furniture, and equipment are depreciable. • The taxpayer must own the property. Taxpayers may also depreciate any capital improvements for property the taxpayer leases. • A taxpayer must use the property in business or in an income-producing activity. If a taxpayer uses a property for business and for personal purposes, the taxpayer can only deduct depreciation based only on the business use of that property. • The property must have a determinable useful life of more than one year. Depreciation begins when a taxpayer places property in service for use in a trade or business or for the production of income. The property ceases to be depreciable when the taxpayer has fully recovered the property’s cost or other basis or when the taxpayer retires it from service, whichever happens first. It is a result of depreciation that your taxable income (from the K-1) will likely be lower than your distributive cash flow. This is a major benefit to syndication investors. Self-directed IRAs (“SDIRA”) are increasing in popularity. More and more investors are getting bored with traditional investments (stocks, bonds, mutual funds, etc) and seeking out alternative investments in the search for higher returns. The SDIRA landscape is changing as a variety of investments are being introduced to the market. There is no doubt that SDIRAs are very flexible options and allow for a diverse set of investments. They can invest in almost anything, except for life insurance, S-Corp stock and certain types of collectibles. The problem is that there is often confusion about SDIRA tax rules. Compounding the issue is that the majority of CPAs don’t understand the complexity associated with them. It’s not that CPAs are naive to the issues it is just that they are not faced with them on a daily basis in their practices. But even though an SDIRA can invest in most things, certain investments can trigger immediate tax issues. This is where the complexity lies. The two main issues for SDIRAs relate to income from a trade or business that is regularly carried on (this can be directly or indirectly) or income generated from debt-financed property. These issues are identified herein as: (1) unrelated business taxable income (“UBTI”); and (2) unrelated debt-financed income (“UDFI”). Let’s take a closer look at these issues and then see how they apply to partnership syndications and real estate crowdfunding. Unrelated Business Taxable Income UBTI is generally defined as the gross income derived from any unrelated trade or business regularly conducted by the exempt organization, less any deductions associated with carrying on the trade. The business or trade itself needs to be “regularly carried on” in order to trigger UBTI. So in most situations, UBTI occurs when an SDIRA owns a portion of an operating business (retail store, service business, etc). Rents from real property are specifically excluded in computing UBTI, but may be subject to UDFI. Interest income, dividends, royalties, annuities and other investment income are also typically exempt from UBTI but can be subject to other limitations (such as UDFI). Unrelated Debt-Financed Income UDFI is another issue that is important to consider. It is generally defined as any property held to produce income for which there is acquisition indebtedness at any time during the tax year. It also includes gains from the disposition of such property. UDFI applies to corporate stock, tangible personal property, and more importantly – real estate. What this means in practice is that if your self-directed IRA acquires a rental home for $100,000 with a 25,000 down payment and obtains a $75,000 loan to finance the purchase, approximately 75% of the income generated by the property would be subject to UDFI. The UDFI calculation is actually a little more complex. It is calculated as the percentage of average acquisition indebtedness for a tax year divided by the property’s average adjusted basis for the year (average debt/average basis). Real Estate Syndications and Crowdfunding So now let’s take a look at how UBTI and UDFI would apply as we examine syndications and real estate crowdfunding. There are essentially two types of deals when it comes to real estate syndication or crowdfunding: (1) equity; and (2) debt. An equity deal is basically when an investor owns shares in a limited liability company (“LLC”) that either acquires a parcel of real estate or invests into another LLC that acquires real property. The investor holds an indirect equitable interest in the property and is taxed as a partner in a partnership. Equity investors receive a Form K-1 at the end of the tax year that will report their share of the partnership’s income or loss. In a debt deal the investor typically owns an interest in a promissory note that is issued for short-term financing on a real estate project. Investors in debt deals typically do not participate in any upside in the property and are merely acting as just investors. Accordingly, any payments they receive are typically classified as interest income. Unfortunately, UBTI and UDFI extend to partners in partnerships. If a partnership that owns rental real estate has a partner that is an SDIRA then the rules for UDFI will be extended to the partners. Accordingly, if there is debt financing at the partnership level, then any income or loss will flow through to the partners along with the UDFI issue. The partner is treated as if it had conducted the real estate activity in its own capacity and the IRS does not make any distinction between limited and general partners. In addition, it does not matter whether or not actual cash distributions have been made. So in a real estate syndication equity deal, rental income that is allocated to an SDIRA would partially be subject to tax under the UDFI rules (assuming financing was obtained for the property). In many cases though you may find that the tax consequences will be minimal due to depreciation that is passed through from the real estate held by the partnership. However, the SDIRA will often still be required to file a tax return. Even if no tax is due, it generally a good idea to file a tax return so that any capital gains from the ultimate sale of the real estate (which is also be partially taxable due to the debt financing) are offset by any carryover losses that have generated over the years. Tax Filing? So what are the tax filing requirements if you have UBTI or UDFI? First, a filing is only required if there is gross income of $1,000 or more. Gross income is defined as gross receipts minus the cost of goods sold. Assuming this criteria is met, Form 990-T, Exempt Organization Business Income Tax Return, must be filed and the tax paid accordingly. Tax rates can be high because IRAs are taxed at trust rates. For tax year 2013, any income above $11,950 is taxed at 39.6%. State taxes will also need to be considered. Conclusion So just because an SDIRA can invest is almost anything, you must consider any immediate tax consequences. UBTI and UDFI are important considerations when it comes to real estate syndication and crowdfunding. UDFI is all too often overlooked and can certainly be a problem in an equity deal. It is important to note that each deal is structured differently, so make sure that you do your own due diligence. As always, before you consummate any transaction make sure that you review the tax consequences and filing requirements with your CPA. Tax and Legal Advice Disclaimer: AlphaFlow and its affiliates do not provide tax, legal or accounting advice. This material has been prepared for informational purposes only, and is not intended to provide, and should not be relied on for, tax, legal or accounting advice. You should consult your own tax, legal and accounting advisors before engaging in any transaction. If you want to own real estate but do not want to be a landlord, then real estate crowdfunding may be for you. You will be able to participate in the cash flows and capital appreciation of the project, but will not have the responsibility of day to day management. It can be a win-win for both the crowdfunder and the investor. But as this form of real estate investment gains traction, certain questions are being raised. A real estate syndication is almost always taxed as a partnership and investors are typically classified as “passive” investors. This results from the investor not being actively involved in the management of the property. The sponsor (or syndicator) is the one who is providing the management expertise and is involved in the day to day operations of the property. So what does it mean when you are a passive investor? Even though you may be getting a preferred return, you may still find that the investment is generating a tax loss as a result primarily of depreciation deductions. As a general rule, the deduction for a passive activity loss is limited in each tax year to income derived from a passive activity. However, if the syndication is generating passive income it will be taxed at the taxpayer’s marginal tax rate. But remember that this income can also be used to offset passive losses. Many investors may have cumulative passive losses relating to rental real estate that have been carried forward for years. With a syndication generating passive income, this can allow the investor to “free up” these passive losses and use them to offset the income from the syndication. Interest and dividend income is not considered passive income, so for an investor with passive losses this form of investment can offer benefits that stock and bond investments will not. So what do you do if you have passive losses that you are not able to offset against other income? 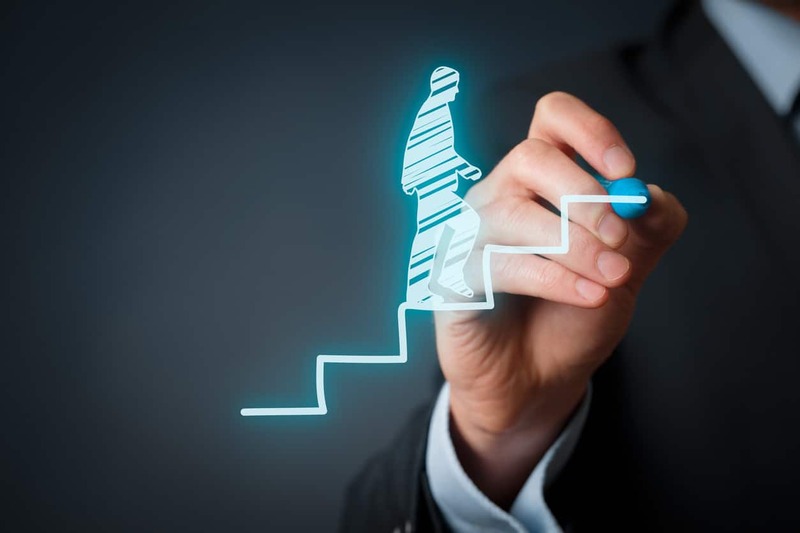 If you find yourself with losses that you are currently unable to deduct as a result of passive loss limitations, there are a few strategies that you should consider. Invest in rental real estate that generates passive income. Considering the low interest rate environment these days, you may decide to invest in rental real estate that you are sure will generate net income even after considering depreciation deductions. Invest in income generating passive business activities. You could consider investing in an operating business that you have no material participation in. Assuming that the business operations generate taxable income that will be allocated to you, then you can use that income to offset the passive losses from the other activities. Increase participation in loss activities. For a crowdfunding investment this may not be possible. But depending on the investor’s involvement in the activity, it may be possible to turn the passive activity into an active activity by increasing your hours of involvement so that you may meet the material participation rules. If you can accomplish this, you may be able to bypass the passive loss rules and fully deduct any losses in the current year. Generate gains from the sale of other passive activities. Passive income will typically include gains from the sale of an interest in a passive activity or property that was used in a passive activity. The gain typically is not considered a passive activity if, at the time of disposition, the property was utilized in an activity that was not considered a passive activity in the year of sale. Decrease your involvement in active income activities. You may have a business activity that you currently materially participate in that is generating active income. Accordingly, you could consider limiting your participation (or involvement) in this activity. Understanding passive activity rules can be difficult. As you can see, there are a few ideas that you should consider if you have passive activity loss limitations. But these strategies can be complex, so make sure that you consult with a CPA or tax professional prior to implementing any of the strategies. Tax and Legal Advice Disclaimer: AlphaFlow and its affiliates do not provide tax, legal or accounting advice. This material has been prepared for informational purposes only, and is not intended to provide, and should not be relied on for, tax, legal or accounting advice. You should consult your own tax, legal and accounting advisors before engaging in any transaction.